I take french fries very seriously. I never order fries at a new restaurant without asking exactly what type of french fry they offer. I never order onion rings (because they’re just sad, round, wannabe fries). Oh, and I never, ever substitute french fries for a side salad. Or, worse yet, a freaking fruit cup. But I know I’m not the only person who cares about the quality, crunch and saltiness of their french fries. 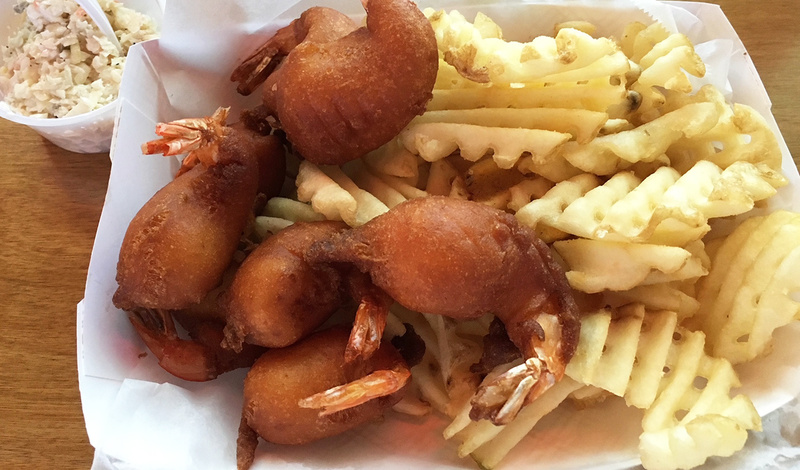 So to help you navigate the fry landscape in Charlotte, here’s a detailed list of the best fry in each category. Maybe it’s the fact that all your food comes served on paper. Maybe it’s the politically incorrect menu item names. Or maybe it’s the friendly dinosaur outside. Either way, Pinky’s Westside Grill has one of the best #cheatday menus in Charlotte. And the star of their menu? The evasive waffle fry. But why are waffle fries so hard to come by? Do they take longer to make? Do they require more potatoes? Do fewer people enjoy a crisscrossed french fry? I need answers. 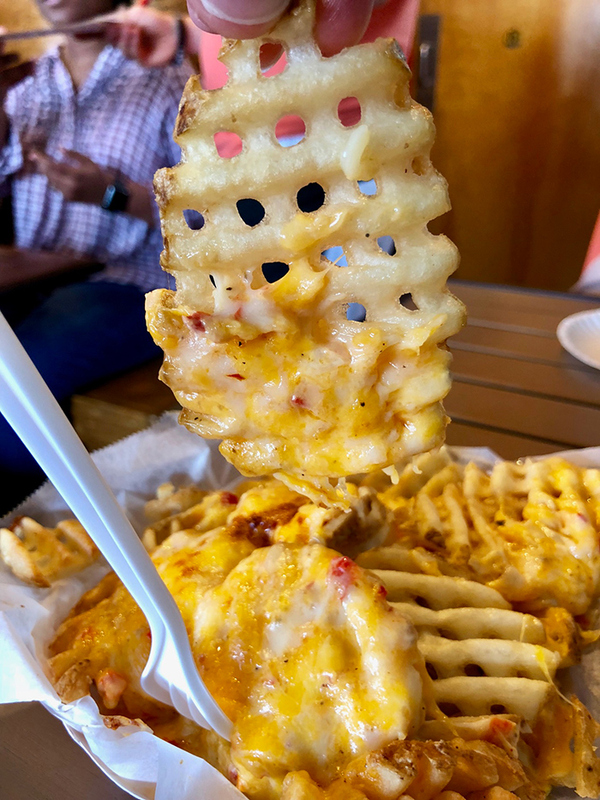 Pro-tip: Clear your schedule and order the Pimp n’ Fries (waffle fries covered in pimento cheese and bacon). You’re going to need a two- to four-hour nap afterward. 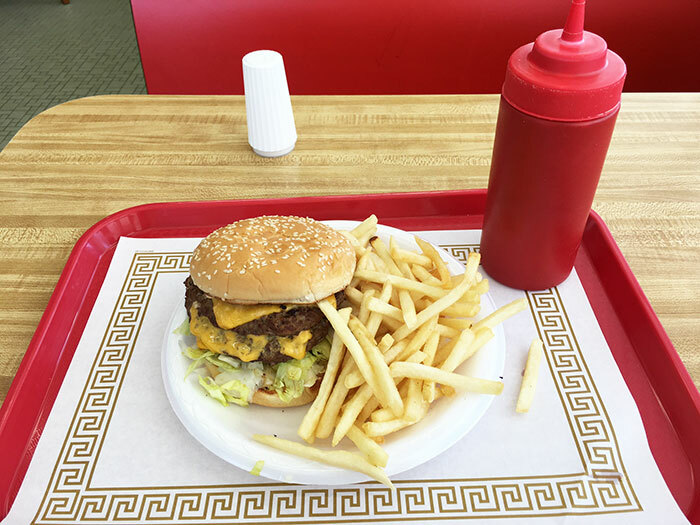 With a website that looks like it hasn’t been updated since 1999 and a location next to a Food Lion, Comet Grill is truly a hidden gem. But once you taste their hand-cut fries, I promise you’ll forgive them for sharing a wall with a nail salon. While most people go for the cilantro rice or plantains, I can never leave Viva Chicken without ordering their crispy, salt-heavy french fries. With a consistency close to a beer-battered fry, their fries are so crunchy that they do something that is almost unheard of in the french fry category: They travel well. Pro-tip: Forget the ketchup and dip these bad boys into the Aji Amarillo sauce. You’ll thank me later. Is it just me or are crinkle cut fries a little retro? I feel like they’re the kind of fries that my grandparents ate while on a supervised date at the local diner. 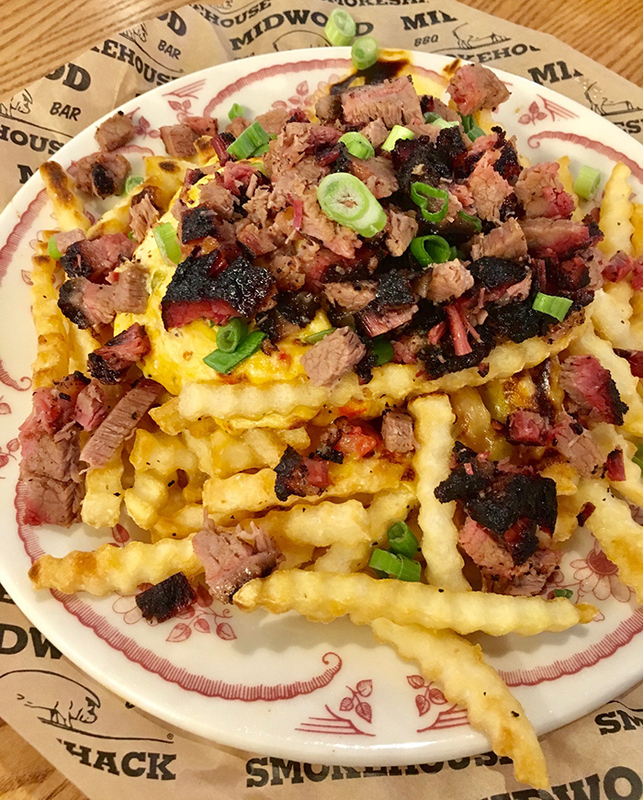 Vintage or not, the crinkle fries at Midwood Smokehouse are ridiculously good, especially when dipped in any of their three homemade BBQ sauces. They also don’t skimp on their portions so you can let your friends steal a couple. 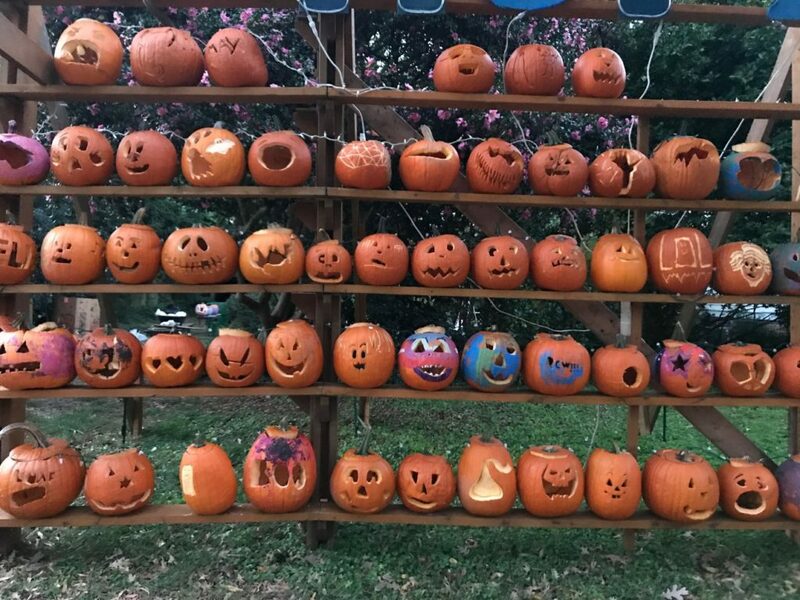 Wait — not that many. Seriously, put those back. 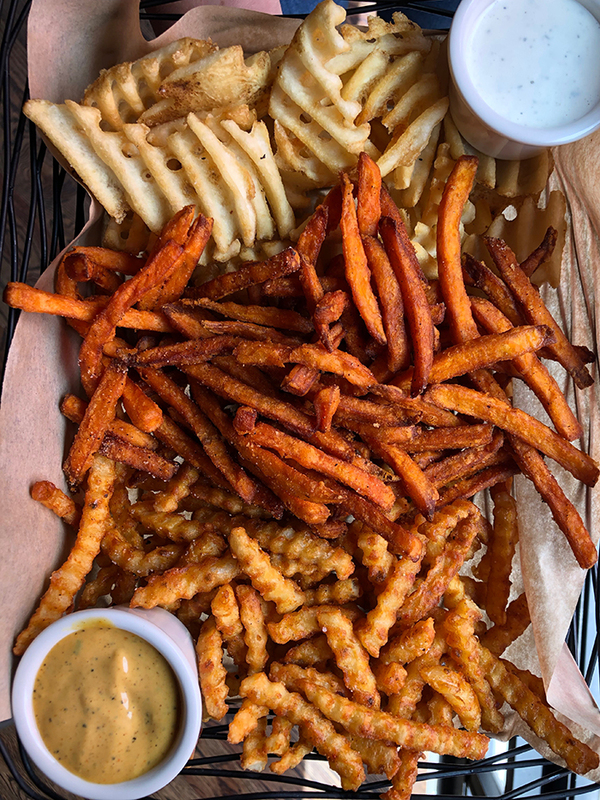 Rosemont has an appetizer called FRIES, FRIES, FRIES that’s literally just a giant basket of sweet potato fries, waffle fries and seasoned fries and I just can’t enthusiastically endorse this enough. It’s perfect for anyone with fry commitment issues or if you’re eating with someone who likes sweet potato fries for some reason. My immediate thought for best late-night fry was Lebowski’s Neighborhood Grill. But Lebowski’s drops the ball by closing at 2 a.m. The Diamond is the clear victor by serving up their late night regrets for a full two hours after that. Are they the best fries in Charlotte? Not even close. Do these fries taste great at 3:30 a.m. after a night at Snug Harbor? You bet they do. Due to an insufficient amount of frying, potato wedges do not count as fries and therefore will not be represented on this list. 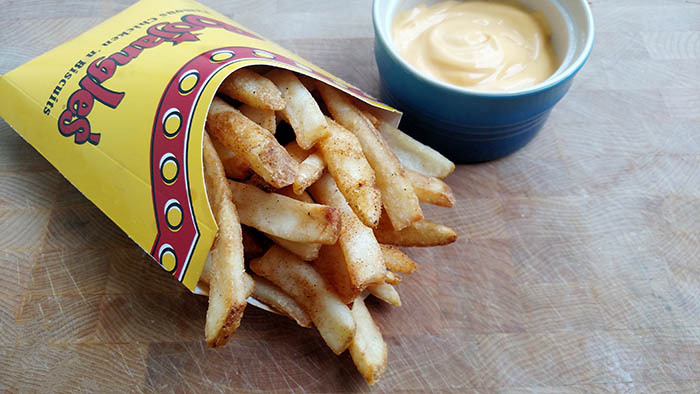 No Charlotte french fry discussion is complete without mentioning Bojangles’ seasoned fries. The very first Bojangles’ opened where the check-cashing place is on West Boulevard over 30 years ago. And since then they have been serving up the best hangover aid money can buy. Pro-tip: Ask for extra seasoning, or, better yet, buy your own container ($8.95 for four) and sprinkle it on everything you can possibly think of. There’s just something about a shoestring fry. I can’t be the only one who loves to take five or six of them at a time and drag them through ketchup like a delicious, salty rake. Café Monte has some serious shoestring fry game, even though they try to be fancy and call them “pomme frites.” Don’t give me that pretentious french word crap, Café Monte. We all know you’re serving shoestring fries and we love you for it. 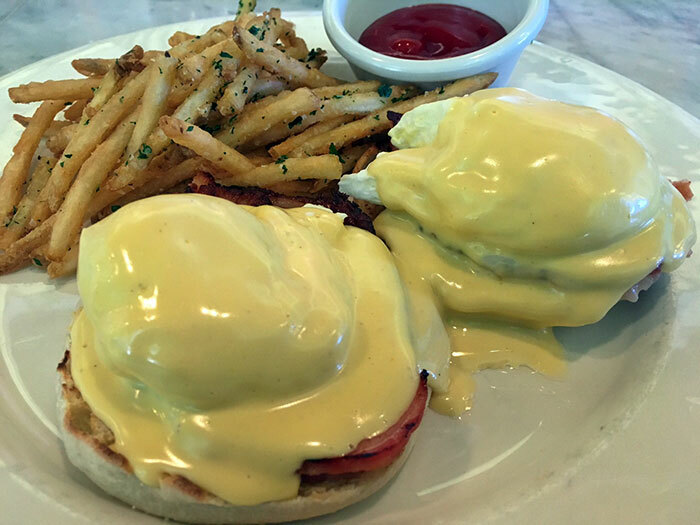 Pro-tip: Ask to substitute the “pomme frites” for that weird potato cake thing they try to give you during breakfast and brunch. I hate sweet potato fries. They are an abomination and should have never have been invented. That being said, I know there are people out there who think these orange atrocities are delicious, so I did a survey to find people’s favorite sweet potato fry. The results? Bad Daddy’s. Pro-tip: Don’t eat sweet potato fries. They’re gross. I’m sick of all these try-hard fry spots. Unlike those guys, Zack’s delivers a quality fry – slightly bigger shoestring style – that’ll make you feel like a kid again. I once sat at a table in 8.2.0 completely alone and housed two orders of their fresh cut, twice cooked, Belgian style cheese fries that I swear I ordered for a group of people who never showed up. And no, I don’t regret this decision even a little bit. 8.2.0’s fries are huge and best when dipped into one of their 8,000 sauces. Pro-tip: Make sure to schedule all make-out sessions before eating these fries. Unless your lover is really into pesto, then kiss away. 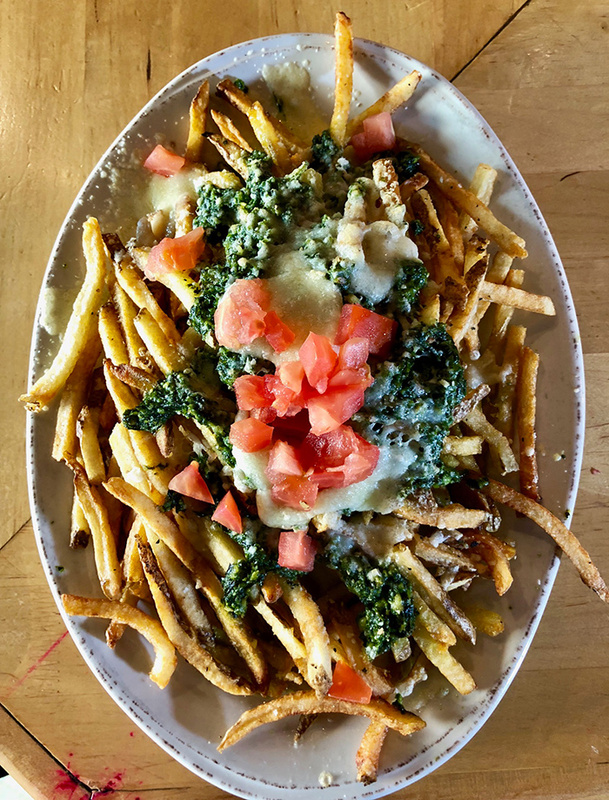 These famous fries are hand cut and twice fried with pine nut basil pesto, melted brie and tomatoes sprinkled on top.